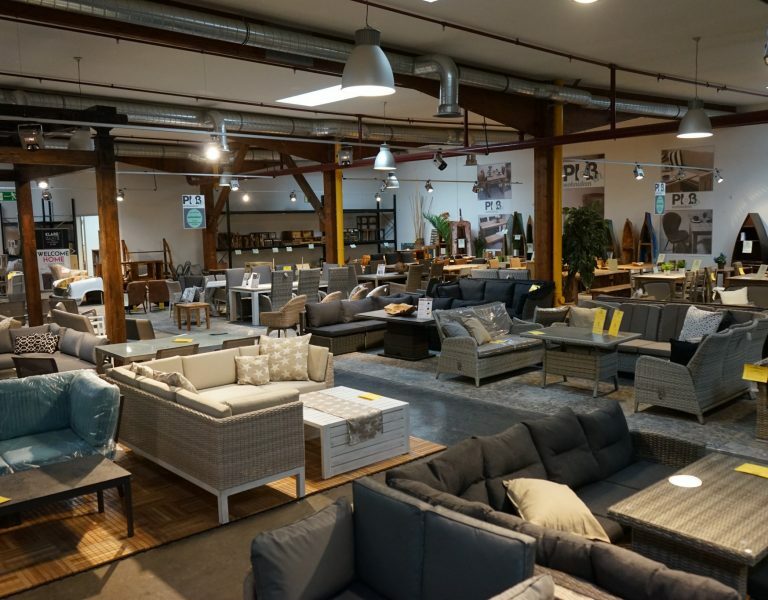 At our garden furniture warehouse sale in Barsbüttel, on the outskirts of Hamburg, we present samples and display items, but also individual items and ranges that are being discontinued from the main Ploß range. Over an area of 1,200 m², not including the outdoor spaces, you will find something to suit every taste and every situation. All at attractive prices, straight from the manufacturer. On top of this, the advice of Ploß’s experts is available here free of charge. We feel you should be able to take all the time you need when selecting the right garden furniture. If your car is too small or your garden dream too large, we will be happy to arrange for the goods to be delivered to you at a small charge. Your favourite bench is missing a leg, or the dining table you inherited is missing a slat? 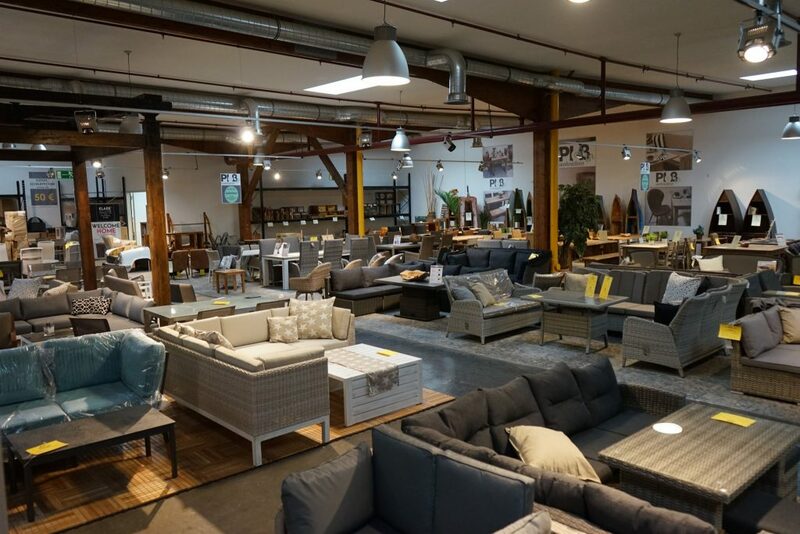 Feel free to bring us your favourite pieces of furniture. Our specialists in the Ploß workshops will be happy to make you a customised offer and restore your furniture expertly. Mon – Wed 10 a.m. to 5 p.m.
Thu and Fri 10 a.m. to 6 p.m.
Mon – Thu 10 a.m. to 4.30 p.m.
Fri 10 a.m. to 2.30 p.m.
You never want to miss another special offer and always keep informed about the latest at Ploß’s warehouse sales? Then register here for our newsletter. Once or twice a month we will send you our offers and our news, conveniently delivered to your in-box. 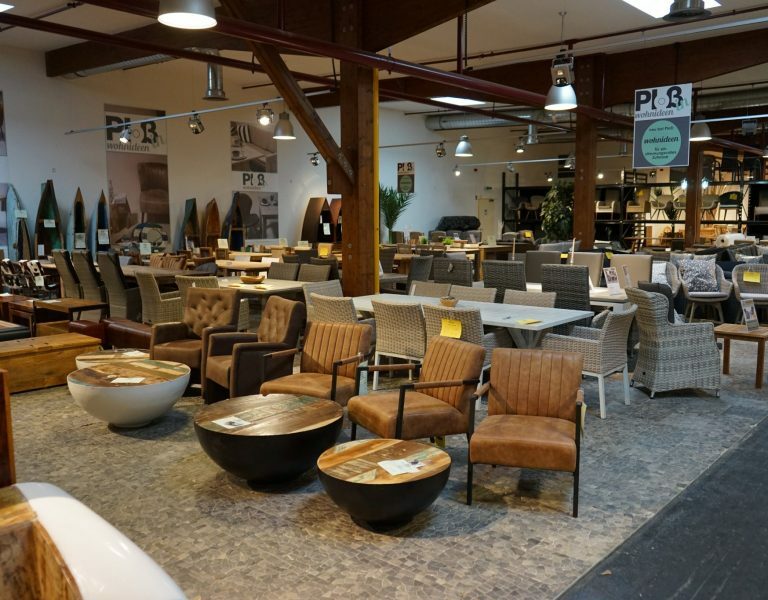 At the Ploß warehouse outlet, you will also find the exclusive collection of Ploß Home Ideas. 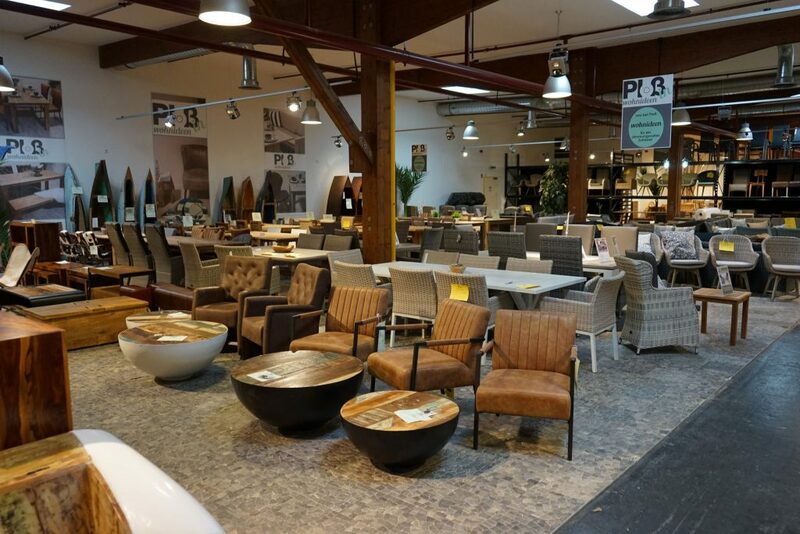 In a carefully made selection, Ploß & Co. is now presenting its furniture competence in the indoor domain too. Impressive solid wood tables made of teak invite your friends and family to gather convivially around the dining table. They can sit on smart, cosy chairs with a cowhide or leather look, with armrests or without. Accessories and decorative cushions create classy accents. We are here for you every day and look forward to seeing you!